The Fronius Symo Hybrid is the heart of the 24 hours of sun storage solution - the Fronius Energy Package. With power categories from 3.0 to 5.0 kW, the three-phase inverter allows surplus energy from a photovoltaic system to be stored in the Fronius Solar Battery. The result is maximum self-consumption and maximum independence. With the emergency power function, the household can enjoy an electricity supply even during power outages. Perfect system configuration and visualisation are provided by the built-in web server with graphical interface, WLAN and Ethernet. 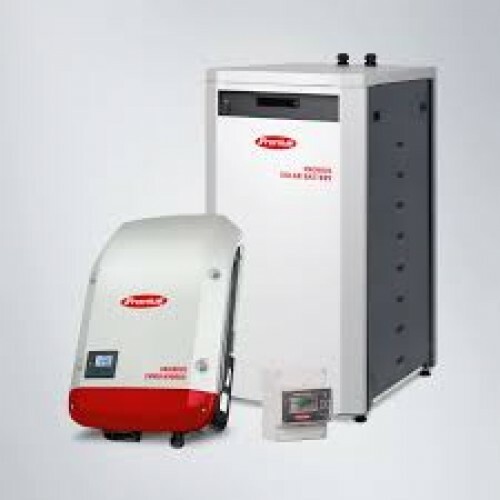 The Fronius Symo Hybrid permits both DC and AC coupling for storage systems, whereby an AC coupling also allows an additional PV generator to be connected to the Fronius Symo Hybrid. This makes the Fronius Energy Package the ideal solution for both new installations and for retrofitting to existing PV systems. 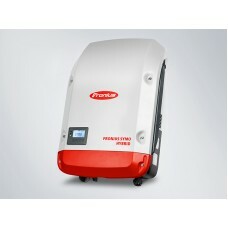 / The Fronius Symo Hybrid is the heart of the storage solution for 24 hours of sun - the Fronius Energy Package. With power categories from 3.0 to 5.0 kW, the three-phase inverter allows surplus energy from a photovoltaic system to be temporarily stored in the Fronius Solar Battery. Through intelligent energy flow management, the integrated Multi Flow Technology allows both the AC and the DC coupling of storage systems. / The Fronius Smart Meter is a bidirectional meter which optimises self-consumption and records the household’s load curve. In conjunction with the Fronius Solar.web online portal, the Fronius Smart Meter provides a clear overview of a user’s own power consumption. / The Fronius Solar Battery is a perfect example of high-performance lithium iron phosphate technology. A long service life, short charging times and high depth of discharge are therefore guaranteed. High-performance Lithium technology for maximum safety The Fronius Solar Battery is a per..